There’s no limit with how meticulous one can get with the subtle details of their car. This is for the serious cleanliness OCD car guys out there. 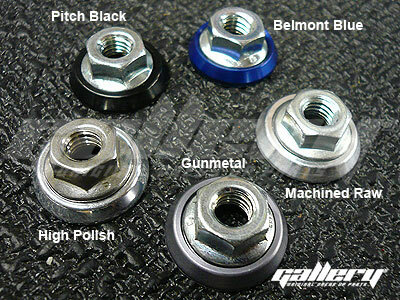 There’s a new company called Gallery that makes high quality nut and washer sets that are anodized in different colors to match your paint scheme. ← NOPI Drift dead? Blame The Economy?